We were delighted to recognize the tremendous contributions made in our community by this dynamic duo, Maich Gardner and Ed Tomey at our January 25th meeting. Citing their years of effort building strong arts, healthcare and higher education organizations, Ken Jue and Cindy Stewart presented each honoree with their award, medal and pin. Joining the club membership in their admiration was Erika Radich and Len Fleischer, Reagan Messer and Marty Hennum and two student performers of MoCo Arts who sang "For Good" from the musical Wicked. 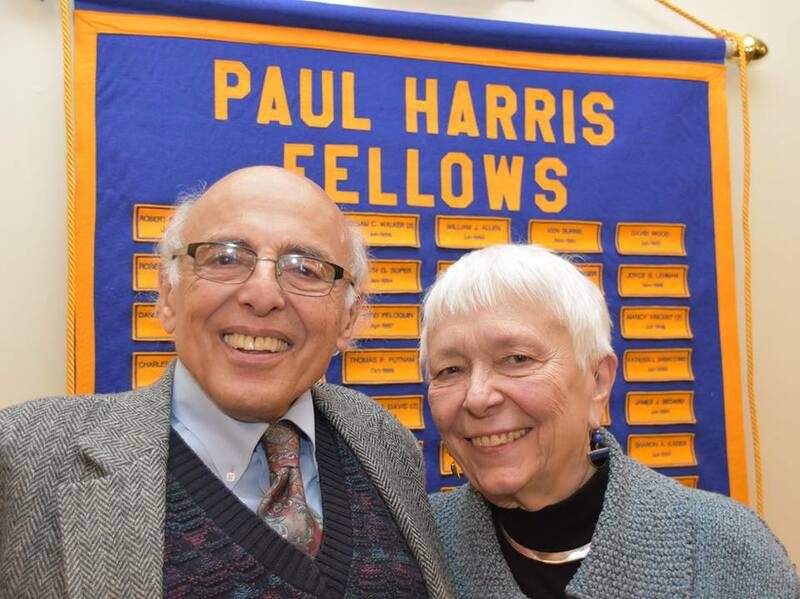 Congratulations to our most recent Paul Harris Fellow recipients!